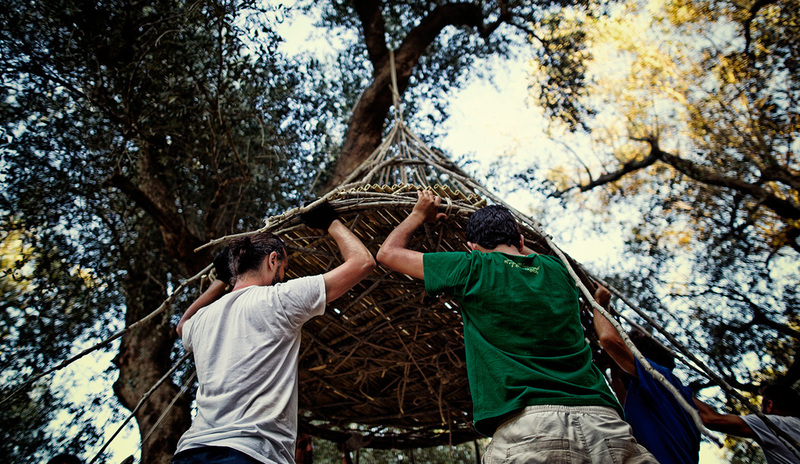 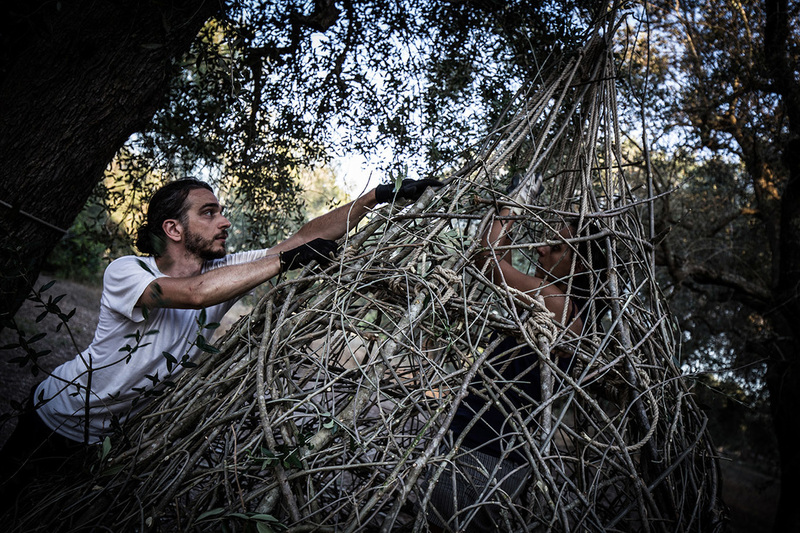 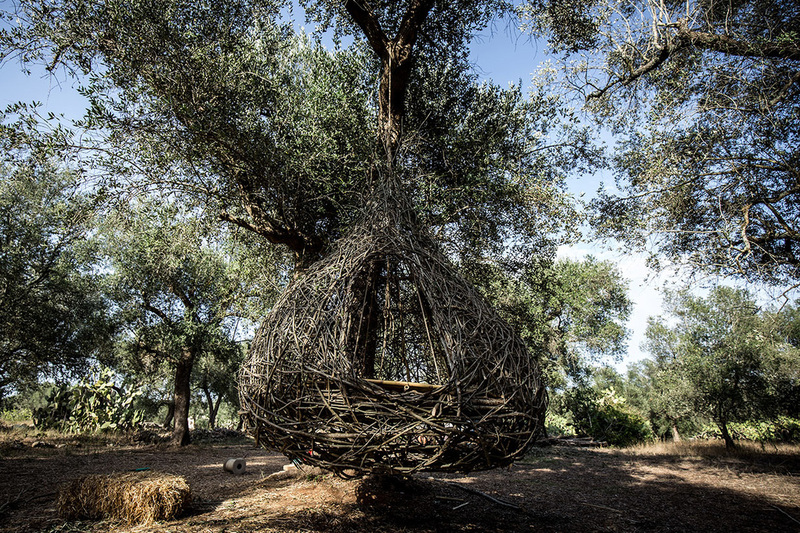 After completing “Nziddha” structure, in the third day of self-construction workshop we made the shelter skin: with “Uccio” Mariano supervision, we first prepared the sleeping surface with “Arundo donax” reeds, then we created the external olive branches weaving. 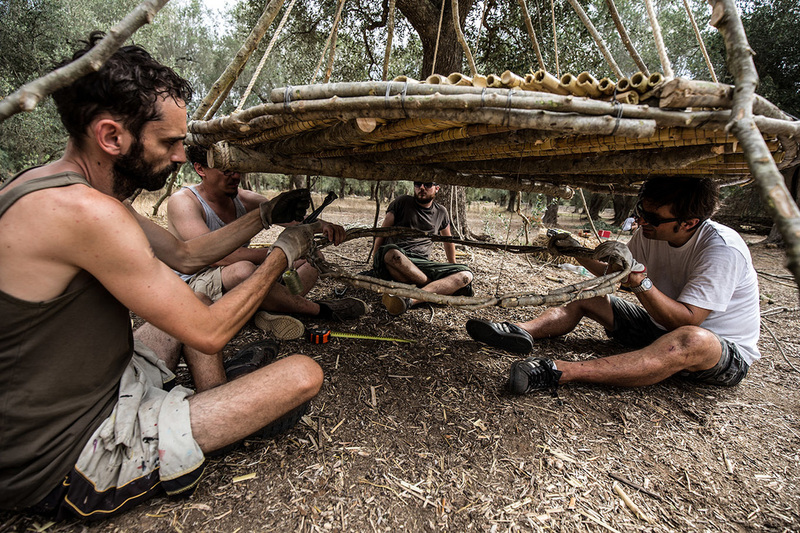 On the fourth day, while completing the first “Nziddha” external weaving, we started constructing the second shelter model: thanks to first model experience, we introduced small changes to the second one realization. 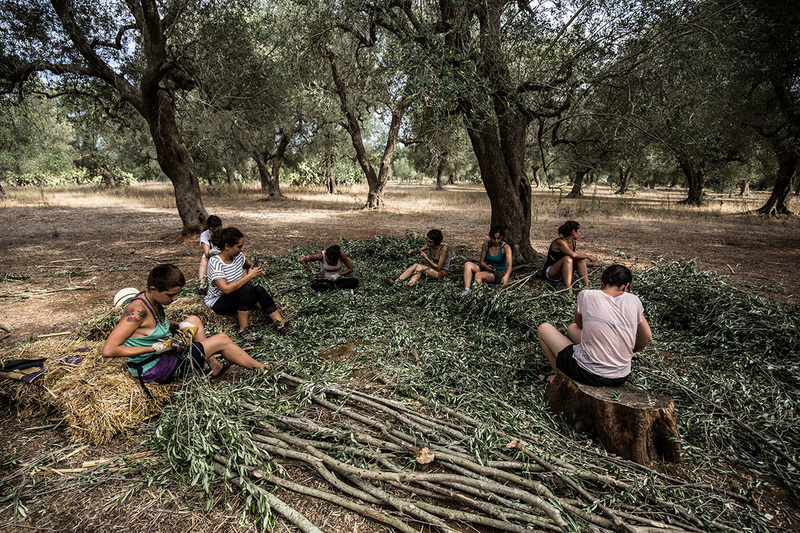 The workshop in the Public olive tree grove goes on. 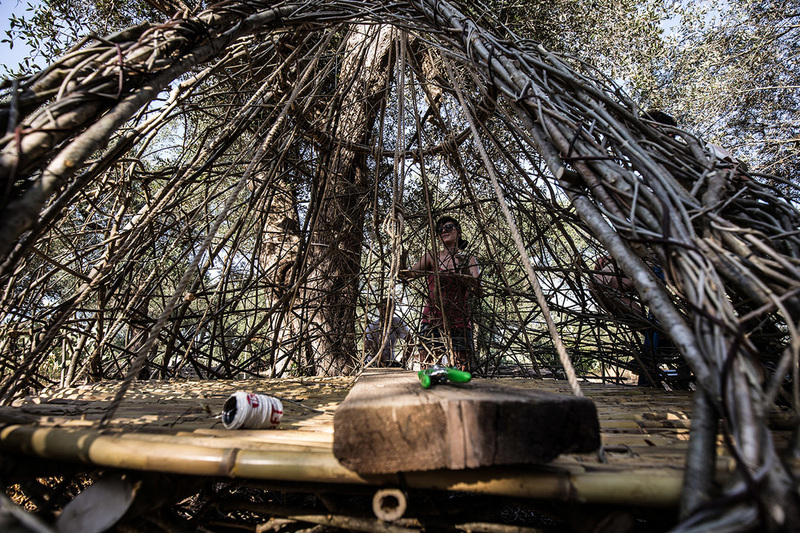 After two days of further work, the shelters begin to materialize. 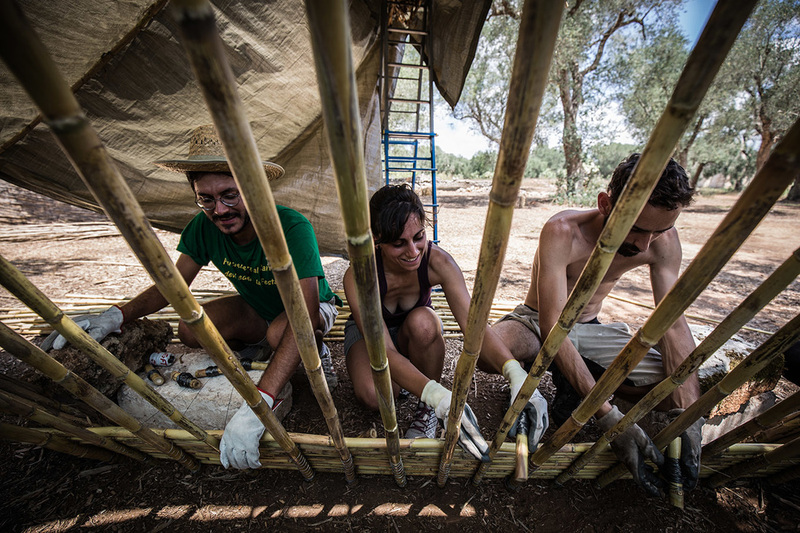 Gianni Mariano gave us a load of long olive branches, which have been assembled together with bundles of “Arundo Donax” reeds to give shape to the upper section of the “Dreams Observatory”. 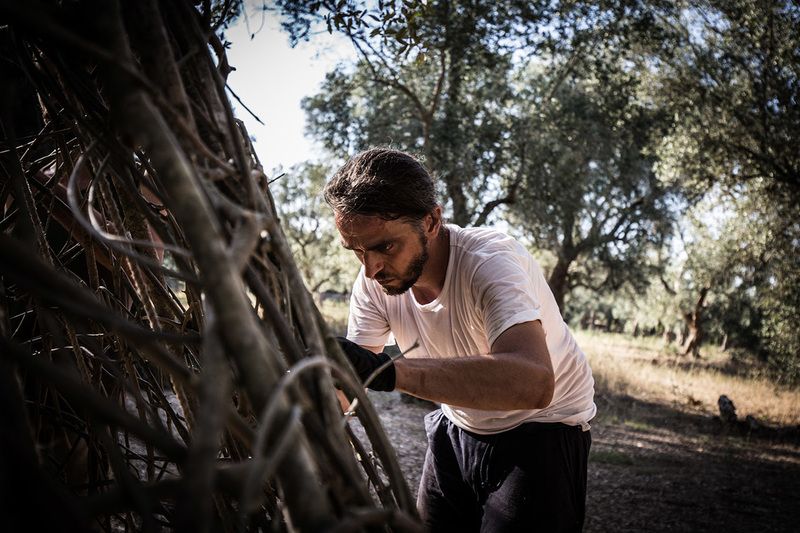 Meanwhile Uccio Mariano continued teaching the traditional weaving techniques. 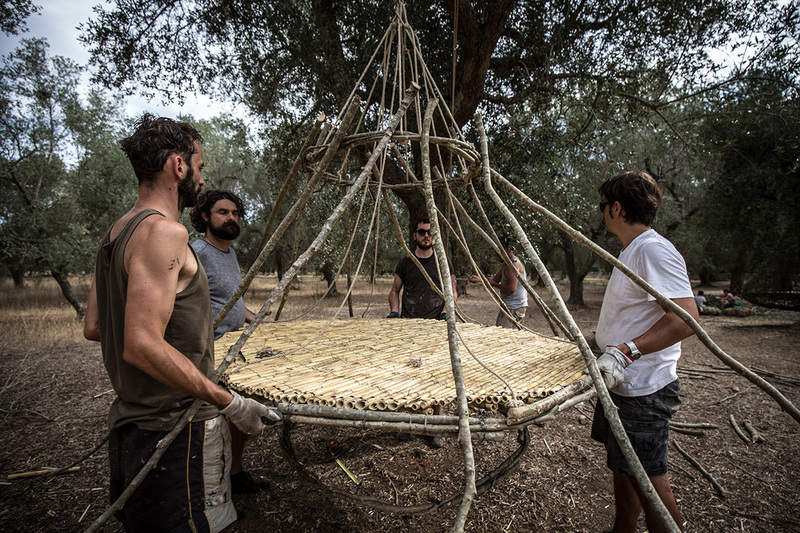 The first “Nziddha” is almost finished, and now it hangs down from a large olive branch, so we started working on a second model, placed under an olive tree a few meters away. 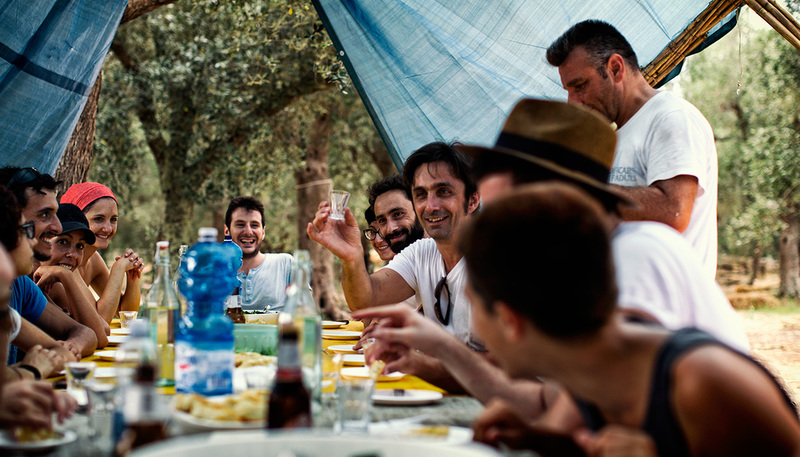 During the break, sitting on a table near the “caseddha”, the workshop participants are refreshed thanks to recipes from the “Taste Workshop”: rolls of eggplant and peppers, zucchini parmigiana and chickpea meatball, and, thanks to Rocco afternoon raids, bowls of fresh fruit.